When you can spend $30,000 on a compact sedan, $50,000 on a midsize crossover SUV, and $90,000 for a pickup truck, it only stands to reason that a full-out luxury sedan will cost over $100,000. So those negotiating to buy a luxury sedan don’t spend a lot of time haggling over payment rates. The question, then, becomes which car is the ultimate super sedan — the car that makes an immediate statement about its driver, but also one that provides the ultimate in superlatives, both obvious and subtle? The list is not long, and stopping short of the Rolls Royce type of uber-luxury, we’re looking primarily at the German Big Three of Mercedes, BMW and Audi. Or, to be alphabetical, Audi, BMW and Mercedes, and maybe the top, loaded Lexus LS. The proliferation of SUVs and pickup trucks proves only a distraction, as we compare the fantasy that is the current climate of luxury superstars. Today’s topic is the Audi A8L. While the S Class Mercedes and 7-Series BMW models meet all the requirements of super sedan, it is possible that the 2019 Audi A8L is unsurpassed when it comes to checking all the boxes for superlatives. Long on luxury, as well as length, gave Audi more room to fill with features. The test car I spent a week with came during the familiar tradition of Minnesota’s State High School Hockey Tournament Blizzard. This one was worth 8-12 inches on top of freezing rain, so it made driving a real challenge. 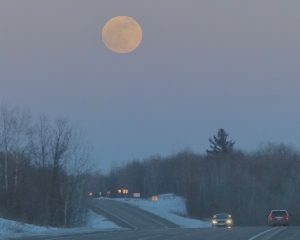 That made driving the A8L from Duluth to the Twin Cities for the tournament, and returning four days later, especially intriguing. Because driving was no challenge at all. The top Audi provided an instant challenge for the top Mercedes and BMW models a couple decades ago, when it came out with a shockingly new body, made of aluminum. 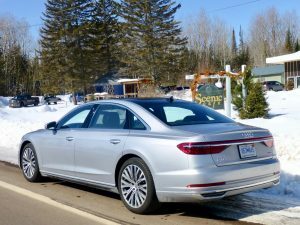 Airplane-quality aluminum is stronger than most steel, and Audi was able to save a lot of weight and avoid rust problems with the aluminum A8. Naturally, that technique has been developed and the new A6L is constructed out o three types of aluminum, plus two kinds of steel, some magnesium here and there, and carbon fiber for further lightening, and enlightening. The new car is 24 percent more rigid than the 2018 model, which is remarkable. 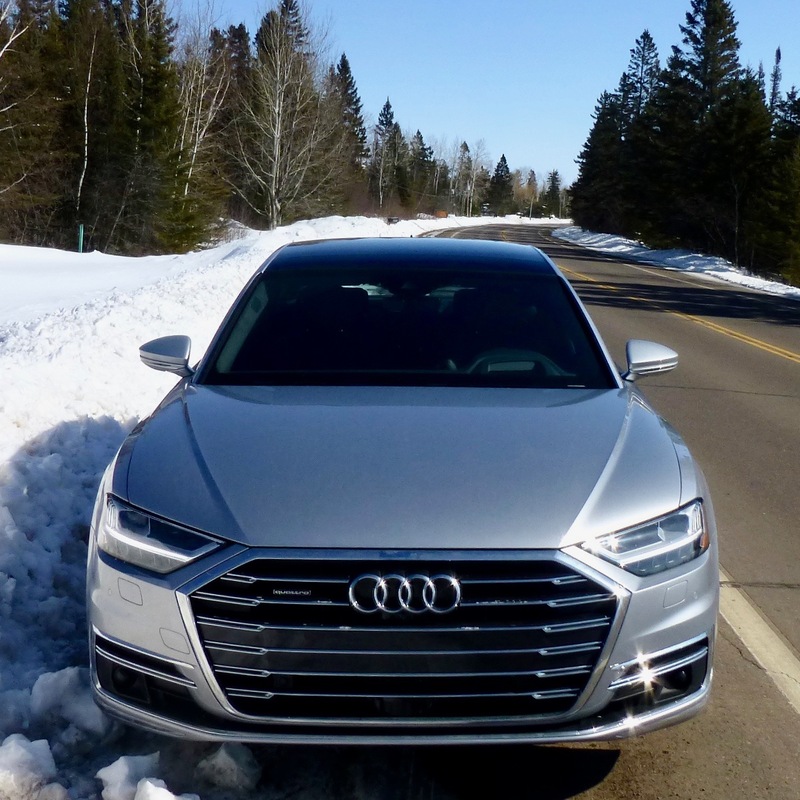 Making the A8L as light as possible is a good thing, because the car starts out being heavier, with standard quattro — Audi’s long-standing standard of all-wheel drive. Driving the front axle and the rear takes added weight, and yet the contemporary level of perfection in the A8L means it never feels ponderous. It feels sports-sedan agile, sports-sedan quick, and it looks sports-sedan streamlined. As for its features, some of it is sports-sedan quality, but always with a super-luxury-car underline to its comfort and features. All the soft-touch luxury and refined subtlety of leather, wood and metal, fill A8L interior. To define the A8L requires explanation. The “L” means it is the elongated version, but that’s the only one they will ship from Ingolstadt, Germany, to the U.S. That also allows standardizing the powertrain. It comes with Audi’s well-engineered 3.0-liter V6 engine, twin turbocharged to deliver 335 horsepower and 369 foot-pounds of torque. 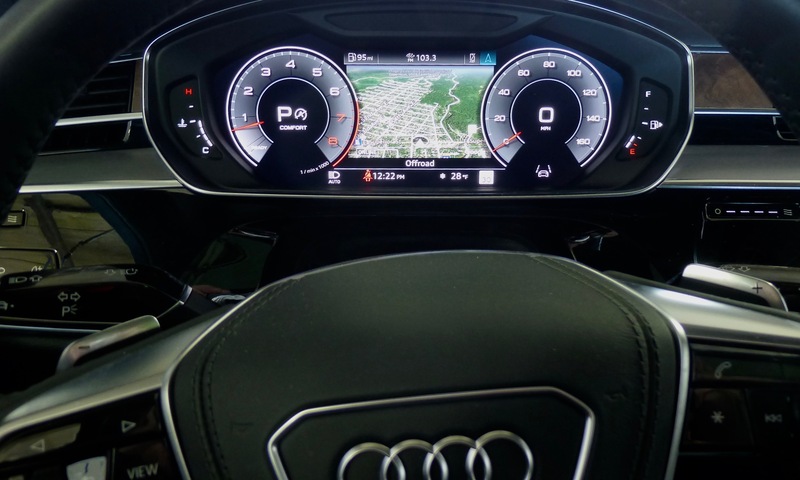 Audi’s magic touch means that while you need to rev the engine to 6,400 RPMs to reach the horsepower peak, you only need to nudge it to 1,370 RPM to attain the torque peak. In tests, the A8L has hit 0-60 in somewhere between 5.3 and 5.6 seconds — definitely sports-sedan territory. The sweeping look of the A8L makes it appear longer than it is, and it is long — over 208 inches — and it weighs 4,995 pounds, and yet is is well-disguised by the car’s active suspension and variable mode driving commands. You can click it from comfort to dynamic to automatic to individual, which allows specific alterations for steering, suspension firmness and engine response. Flip it again and the gauges shrink with the nav enlarging. and rear object detection. Again, though, Audi takes the A8L much farther down the safety road. If you or I were to try to concoct a car to be worth such a lofty price, we might run out of ideas pretty quickly. Not Audi. 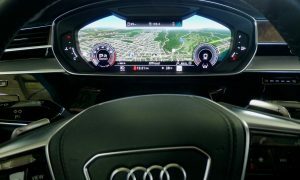 New cars use sensors to make their cars safer and to warn the driver of potential problems; Audi uses 24 sensors that include lasers, radar devices, sonar, and cameras to keep you apprised of everything you can see, or should see, or can’t possibly see. 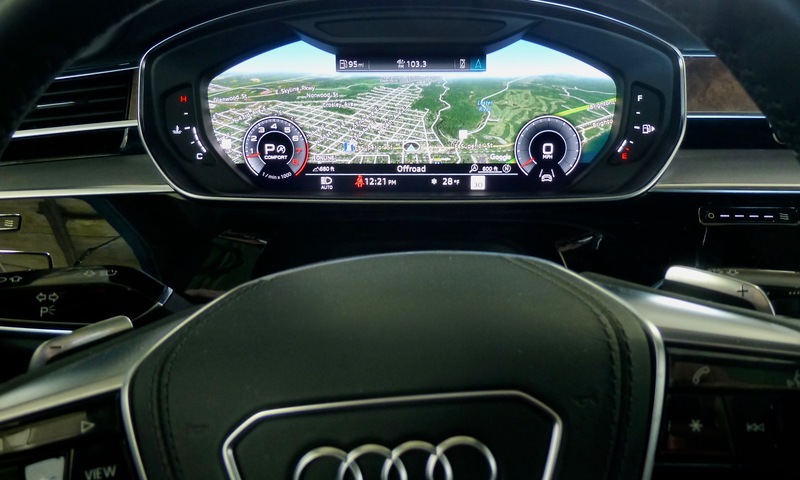 On the large navigation screen on the center stack you get two views of your car, including a 360-degree top-down view, helping you avoid any little obstacle. My favorite feature is the virtual cockpit view the driver gets, which is similar but expanded upon from other Audi models. You hit the “view” button on the steering wheel and a google-map navigation map comes up between the large tach and speedometer, and hit it again to reduce the size of the tach and speedometer and give you a 12.3-inch expanse of navigation ahead, including lakes, trees, buildings and anything else on either side of your trajectory. I didn’t try it, but I believe you could switch up the magnification of that map and make it large enough that you could drive to work using the nav screen instead of the windshield. On the center stack screen, you can use it like a computer screen, where you can press buttons, scroll or swipe to change from navigation to climate control, for example. Or to the audio controls. The audio is a Bang & Olufsen gem that is called 3D Sound, with 17 speakers tucked all around you in the interior, and it comes to life with power and clarity that will surprise your ears as well as your sensibilities. 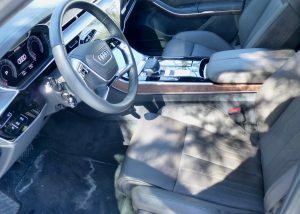 The interior appointments are classic Audi — understated but classy everywhere you look or touch, with real leather, real aluminum or real carbon fiber, soft-touch everywhere. The seats themselves are what the A8L deserves as well. Supportive buckets up front, and in the rear, if you so choose. It might be that your family will change its focus from everybody wanting to sit in the front passenger seat to insisting instead to sit in the rear. Sleek rear is encircled by tastefully subtle LED lights as the A8L’s finishing touch. Rear seats have their own remote to adjust audio or video or heat or cooling. With the comfort seat option in the package you also get LED lights that’s are infinitely adjustable for size, aim, brightness for reading or whatever else you might want to do back there. And if you really want to relax on a long trip, you can fold down the panel on the front seat backrests and discover a way to give yourself a foot massage. Obviously, normal seat massage controls are already in place. On the outside, the smooth and large grille is distinctively Audi, while many other companies are still searching for a “signature” look to the front end. The grille wraps smoothly into the headlights, which are an LED array that is dazzling, whether your in the driver’s seat or outside, watching it approach. The matrix-design LED headlights not only wrap around curves, on the European A8s they are able to stay bright but exclude that brightness while engulfing oncoming cars. The taillights, also, are strikingly unique. The rear is simplified from previous models, and the new ones feature LED taillights that blink in sequential form, inside to outside, to signal your direction of turning. My older son, Jack, made me get out and look at the taillights when I shut down the A8L. When you stop and shut off the engine, the taillight LEDs encircle the entire rear before going out. It’s like your own private light show every time you shut it down. 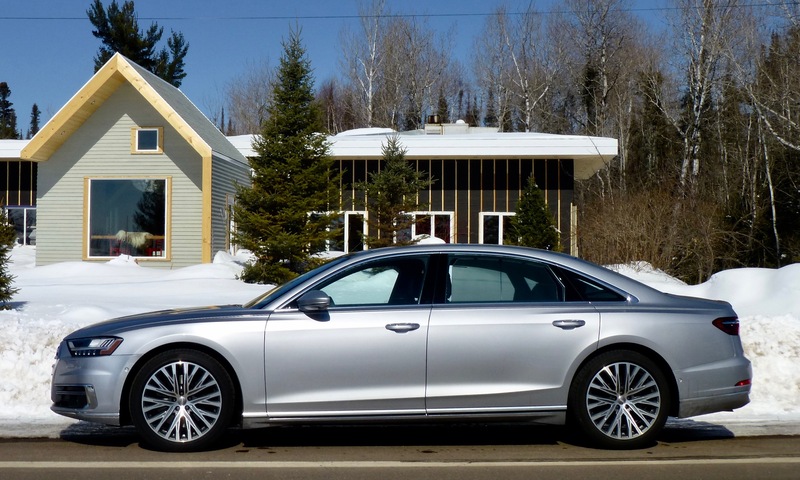 The style, and price tag, leaves the A8L fard ahead of Audi’s A3, A4, A6, and assorted SUVs. 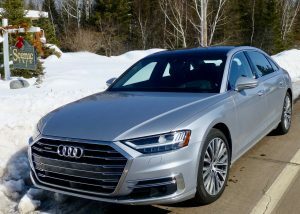 The A8L sold in the U.S. lacks the hybrid version that, we’re told, is coming, but it comes with a 48-volt electrical system, which has a lithium ion battery and an alternator-starter that is belt driven to power the engine stop-start at stoplights, and it also can cut engine power and start it up again at urban speed up to 14 miles per hour. Audi also allows you to save selected settings for comfort, driving, lighting and virtually every other choices. In fact, it says you can configure 400 different profiles. If you think there could still be more, there could be, on the European-only A8 with more powertrain and size variations. Also, the super sedans all stress safety, and it’s common knowledge that side impacts can be absorbed much more safely if the intruding vehicle gets to the lower chassis, which is pretty impenetrable. On the European spec A8, the car anticipates a side impact and actually will cause the impact side to rise a few inches, to better absorb the impact and make the safe occupants even safer. Never heard of a Wrangler in a slick color? That’s just one of the surprises for 2019. The divide between vehicle buyers in the U.S. has been delineated for years by Jeeps: those who love ’em and those who hate ’em. The ones who hate Jeeps may outnumber the fans, and they figure the Jeep outlived its usefulness in the face of the barrage of new and capable competitors throughout the industry. But there is nothing quite like the loyalty of those who love Jeeps, and who willingly put up with the nasty frequency of repair figures and pogo-stick bounciness that were nearly traditional in the past — all in the name of building no-compromise off-road conquerors. Imagine the surprise of both extremes when they learn that the 2019 Jeep Wrangler has made a giant step toward the middle, adding refinement, comfort, sophistication, tech features, and a stunning new 2.0-liter turbocharged engine that leaves the V6 behind. 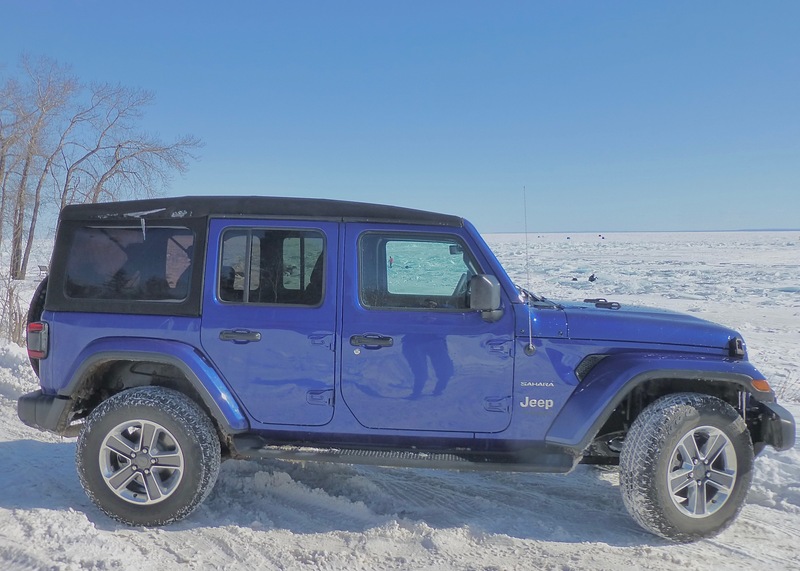 The Jeep Wrangler Unlimited Sahara 4×4 showed up for a week-long trest drive, in a stunning Ocean Blue Metallic Clearcoat color, looking good even when the paint was under a few layers of slush and road-treatment salt glop. This was a 4-door, with a fabric top that would be fun in the summertime because it has a sunroof and is removable. I didn’t try it with the wind-chill at 20-below. 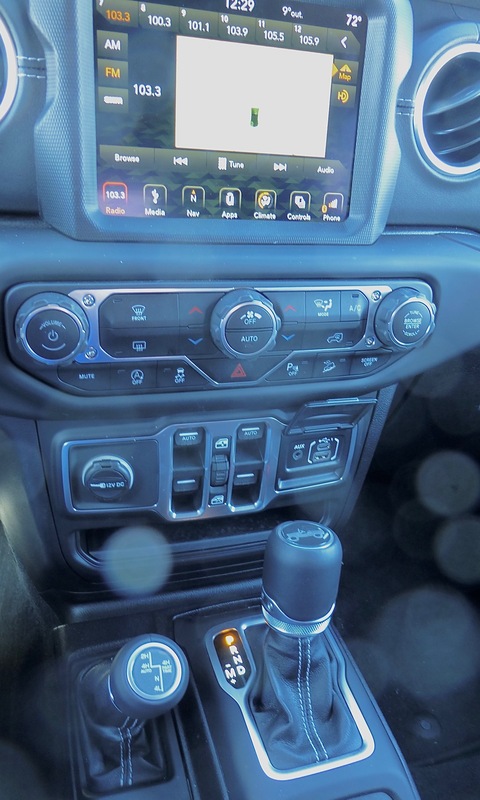 The ride is refined to a point of comfort previously unimaginable in a Wrangler, as is every interior appointment and the fit and finish of fabrics and soft-touch surfaces, and high-tech features including the navigation system and screen, and all the connectivity outlets and controls. 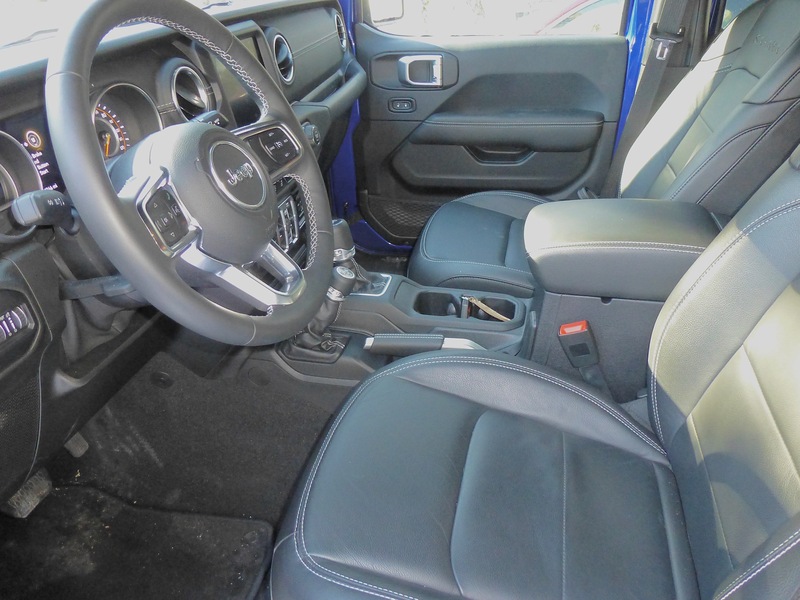 Top Sahara model brings leather seats and technical sophistication to Wrangler. It’s a sleight-of-hand trick. Where most SUVs pretend to be off-road worthy but bow to the Wrangler’s superiority off-road status. While remaining iunchallenged off-road, however, the new Wrangler can match the smooth on-road abilities of the contending SUV-wannabes. The Wrangler sticker price is hefty, with the test Sahara starting at a base price of $38,295, and the Unlimited Sahara came so loaded with features and options that it stickered at $50,050. Jeep and FCA have learned a lot from their fleet of more domesticated Jeeps such as the Grand Cherokee, Cherokee, Compass and even the Renegade. But instead of excluding the Wrangler from such sophistication, we must now focus on the transformation of the Wrangler, the Jeep that started it all as a rugged off-road vehicle during World War II. Critics accuse Jeep and its new owner, Chrysler and now FCA (Fiat Chrysler Automobiles) of not being aware that WWII ended. But despite the similarities to the tradition and heritage of Jeeps long-since passed, it’s time to take another look at the Jeep Wrangler. Best to look at a 2019, but the new generation platform with its high-strength steel, plus its new engine and interior features, mostly hit the showrooms for 2018, so if you find a good deal on a 2018, grab it. Prepare to be impressed, with either model. Especially if you had some experience with its more primitive predecessors and haven’t seen what the late Sergio Marchione championed in his managerial renovation of the Jeep lineup. With SUVs taking over the marketplace these days, most SUV buyers are looking for smooth comfort as well as the utility of all-wheel drive, and they’ve lost complete touch with the rugged, outdoorsy challenges of true SUVs. The biggest surprise for consumers, however, is that in reversing roles, the new Jeeps have all been sophisticated in ride and feature refinement, while losing none of its off-road capabilities. 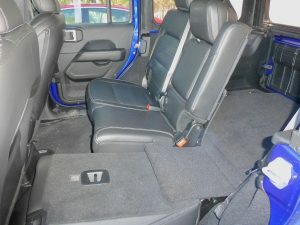 Solid body over front seat yields to well-fit cloth top over rear seats. Motor Trend magazine ignored the raft of new crossovers and chose the year-old body-on-frame Jeep Wrangler as its “SUV of the Year” for 2019. 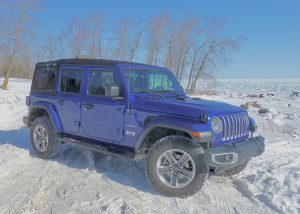 That came out two months after the same magazine said in its SUV capsules that the Wrangler was “unchanged” for 2019 because all the changes had been made for 2018, except for adaptive cruise, emergency braking and forward collision warning. Those are far beyond the vehicle’s history, which still dictates the braided straps securing the doors from flying open too far. The new Wrangler Unlimited Sahara 4×4 I test drove for a week in subzero cold and foot-deep snow along the North Shore of Lake Superior in February seemed eager to take on the nasty conditions but also insisted on carrying us in smooth on-road comfort, with supportive bucket seats up front and the 60-40 rear seats that conveniently fold down to allow storage of long items. There are places, such in the Rocky Mountain High Country or the remote areas of Moab in Utah that you can only get into, or out of, with a Jeep. A precious few Land Rovers might do it too, but if you are lucky enough to take a guided trek into those most-remote areas, the tour guide will be in a Jeep, and you will be astounded at how it can seemingly defy gravity to get to some of those places. Fold-down 60-40 rear seats can house longer surfboards and ski poles. So everyday driving, with occasional ventures into the woods or wilderness, are child’s play for such an over-engineered vehicle that has risen far above the level of expensive boy-toy. It’s fun to note the upgrades, because designers have worked to fit them in without disrupting the traditional look of the seven-slotted grille. The round headlights, for example, now house narrow, rectangular LED headlights that use the roundness as a reflector to illuminate the road ahead. The test Jeep also had LED taillights, foglight, and daytime running lights as part of a thousand-dollar LED package. Perhaps the greatest upgrade is under the hood, where a sensational 2.0-liter 4-cylinder “eTorque” engine resides in all its turbocharged splendor. Yes, you can still get a potent V6, the 3.6-liter Pentastar, with 285 horsepower and 260 foot-pounds of torque, but this new and impressive direct-injection turbo four has 280 horsepower (almost as much) and 306 foot-pounds of torque (far more). Everytime I gave anyone a ride in the Wrangler, the passenger couldn’t believe it was churning out all that power with a 2.0-liter four. Underneath, the new generation Wrangler feels totally secure with a strengthened platform and upgraded suspension. Jeeps can now be selected for whatever your intended driving might be. So you’ll want to choose your specific favorite carefully to make sure you get the right 4-wheel-drive system, engine, transmission and suspension, all varying by model. The Sahara with its 2.0 Turbo comes with a new ZF 8-speed automatic transmission, and Selec-Trac all-wheel drive with a shiftable lever for low or high, 2- or 4-wheel drive, replacing the standard Command-Trac part time unit. It also is tuned for a little more comfort out of its suspension, which doesn’t intrude a bit on its ability or eagerness to go charging off through foot-deep snowfalls or serious off-roading ventures. 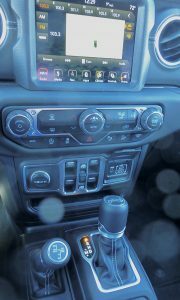 The console blends with a high-tech center stack — breakthrough items in a Jeep Wrangler. It also has hill-descent control, and thoroughly modern stuff like electronic stability control, electronic roll mitigation, trailer sway damping, ParkView backup camera, voice commands for the Bluetooth connections, blind-sport and cross-path detection, Apple CarPlay, and, just in case you suspect it’s gotten too fancy, it has skid plates underneath the fuel tank, transmission and transfer case so you can listen to audio stuff while careening over rocks or rugged off-road terrain. The much more solid feel, the power of the potent new engine, and the comfort and appeal of the vastly upgraded interior might give you a shock every time you stop and climb out, then look back and realize it has retained that old familiar Jeep Wrangler look. This is not a pretender of any fashion; it’s a Jeep Wrangler that still outdoes other off-roaders and now can match any of them on-road or in high-fashion settings. 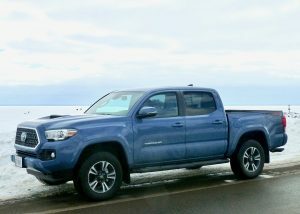 For a midsize truck, Toyota’s Tacoma is big enough for any job, except to see over a Duluth harborside snowpile. We had an interesting coincidence at our home on the North Shore, just outside Duluth, Minn., in January. Our younger son, Jeff, recruited a friend to ride with him so he could drive his brand new Toyota Tacoma pickup truck from Bellingham, Wash., to visit us. Such a trip in January of 2019 may not seem like a favorable time to be driving through the mountains and challenging Mother Nature in this never-ending winter, but for two young single guys it was an adventure. 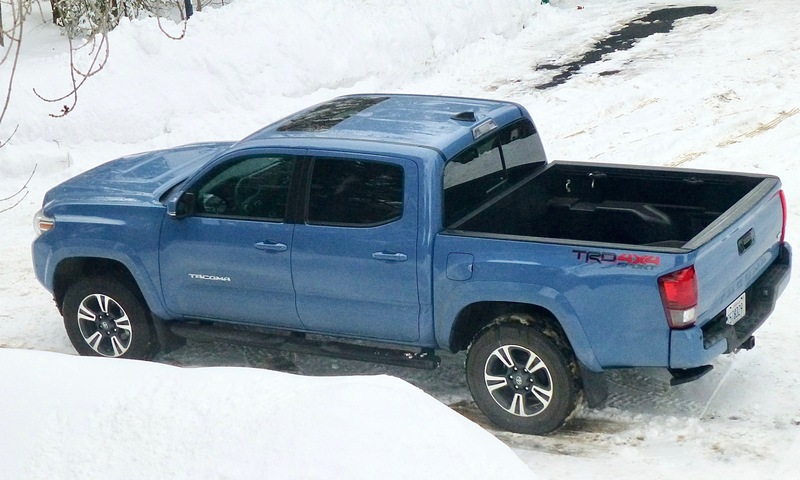 His Tacoma is evidence of my long-held suspicion that full-size pickups have gotten bigger and bigger, and midsize pickups — such as the Tacoma — have grown just enough to fill in as perhaps the ideal size for anyone who thinks they need a full-size truck. A road-test for real came when Jeff Gilbert drove his personal new truck from the Pacific Northwest to Duluth in January. Toyota calls it a double cab, whereas you or I might think of it as a crew cab, because it has a full four-door cabin with plenty of room to seat three adults in the rear, and it is powered by a 3.5-liter V6. Jeff said they made good time, driving through Spokane, Coeur d’Alene, Idaho, then Billings and Butte in Montana, and on across North Dakota to Jamestown, Fargo, and on eastward on I-94 to Minneapolis, before heading to Duluth. They had friends along the way and didn’t run into bad weather until finding the interstate closed and barricaded for drifting snow, necessitating an unscheduled motel stop in Jamestown. The coincidental part of the story is that three days after Jeff left Minnesota to head home to Washington, my weekly test-drive vehicle arrived, and it was a 2019 Toyota Tacoma TRD Sport 4×4 Double Cab — almost identical to the truck Jeff recently bought from the Bellingham dealership where he works selling cars. Upscale interior in the TRD Sport features leather seats and all the connectivity controls. My wife, Joan, and I felt sad when Jeff departed — part of the job description of being parents — but a couple of things helped. For one, I recorded an audio CD for him of the late Guy Clark’s songs, off the “Best of the Dualtone Years” compilations after his death, underscoring Clark’s thought-provoking and clever writing and his outstanding guitar work. Jeff said he enjoyed it enough that he played through the entire double-album about three times before he got to Montana, and he had a lot of other music, too. Our other idea was we made a deal with him to stay in hands-free phone contact from anywhere he was if he could use some conversation to pass the time, and keep us apprised of his adventure — flying solo, this time. By luck, he was trying to reach his friend’s place to spend his last night on the road in Coeur d’Alene when he got a phone call from a good friend from Bellingham, who had just happened to be on a brief trip to a favorite spot just east of Coeur d’Alene. When he called, Jeff was about an hour from arriving at the same town and his friend said he had already reserved a room for Jeff. 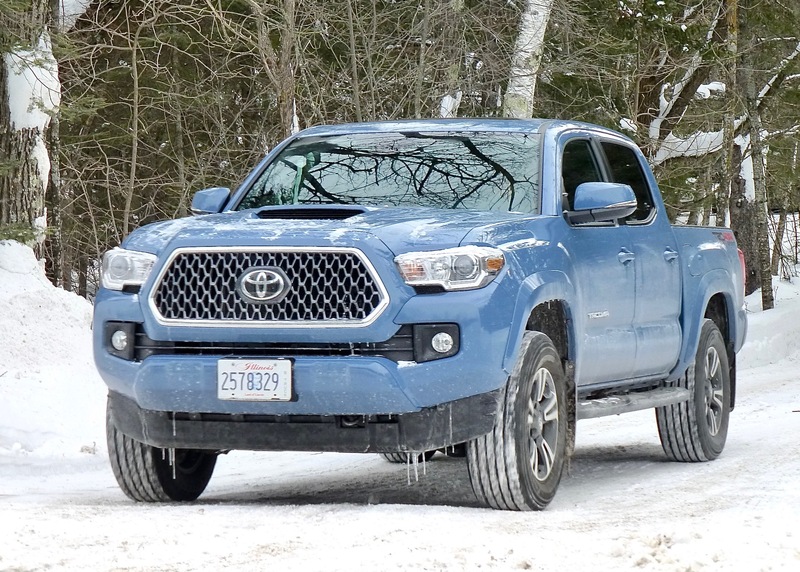 The test Tacoma had the shorter 5-foot bed, looking sporty in the new Cavalry Blue. As luck would have it, the only really bad winter storm he encountered either way was coming out of the mountains and leaving Idaho to drive to Spokane. Freezing drizzle and a mountain storm whiteout made him glad he was driving in tandem with his friends as they drove the rest of the way to Bellingham, which is a scenic town about a half-hour from the Canadian border on the way to Vancouver. We had our own winter-driving challenges around Duluth, and kept our hands firmly on the steering wheel of a 2019 Tacoma that just happened to arrive the day after Jeff left. The Tacoma breezed through the driving part with no flinching, switching its control switch from 2-wheel drive high for clear-pavement commuting, to 4WD automatic, where it could regulate its own selections of how much torque to apportion front and rear. I have to admit to yielding to the temptation of looking for some moderate plowed rows of snow to churn through. 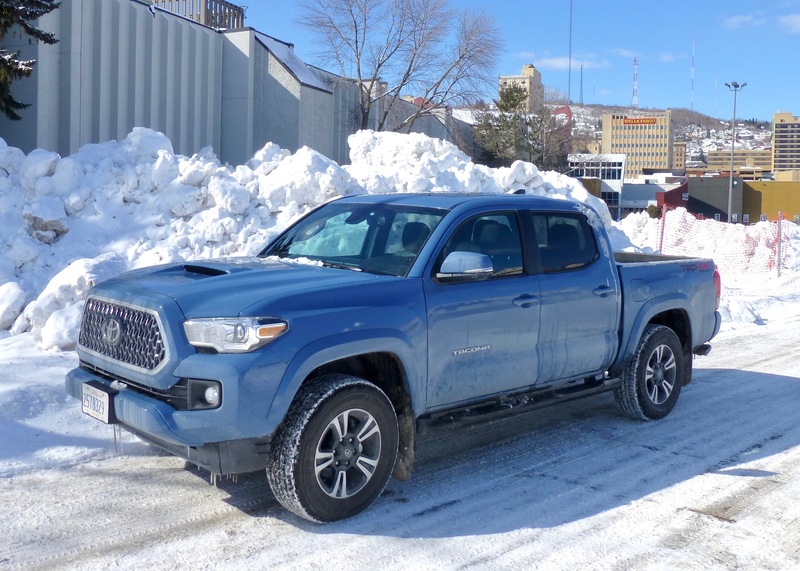 It also was smooth on a trip to Minneapolis and back, for a 5-hour driving day, and the bucket seats and firmly planted stance of the Tacoma won our approval for being considerably more agile and maneuverable than the full-sized pickups of any brand. Part of the attractiveness of the Tacoma was its exterior color, which was Cavalry Blue, a bright, medium blueish color unique amid all the countless colors available these days. 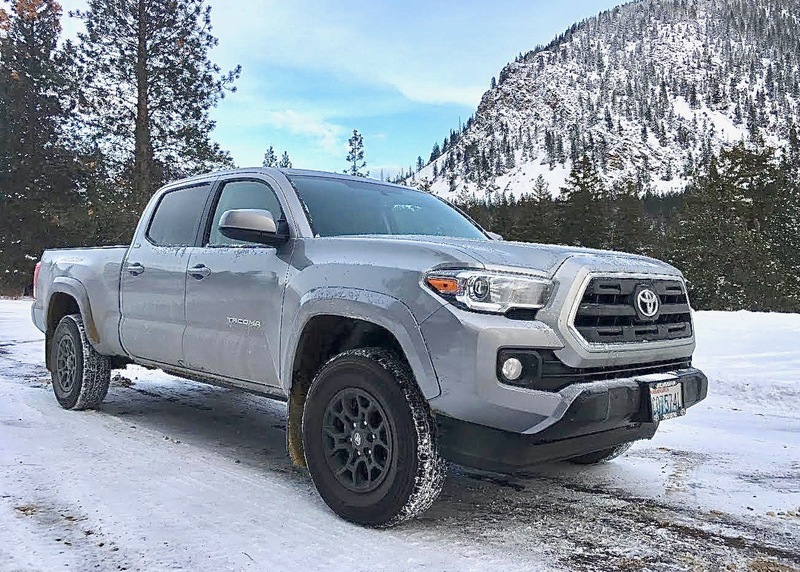 The test Tacoma, being the TRD (for Toyota Racing Division) Sport model means it adds certain trim things, like the black alloy 17-inch wheels, and the sport-tuned suspension. Ice fishermen put up portable fish houses on iced-over Lake Superior, but January was much cozier inside the Tacoma TRD. Toyota has been revitalizing its engine line, and the Tacoma benefits from having the 3.5-liter V6 which has been recalibrated to deliver 278 horsepower at 6,000 RPMs and 275 foot-pounds of torque, which peaks at 4,800. 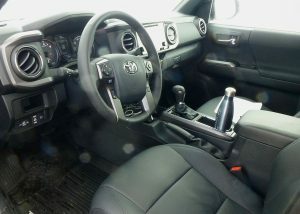 The base price of $36,465 climbs quickly to $42,825 with the addition of the TRD Premium Sport and Technology packages. The result is a Tacoma loaded with all the newest convenience and safety features, such as a towing receiver hitch, trailer sway control, sport-tuned shock absorbers, safety sense pre-collision device with pedestrian detection, lane-departure alert, automatic high beams, rear camera with cross-traffic warning, and a large navigation screen with sonar rear parking assist, a cleverly designed fold-down step for getting into the composite-coated bed, which has sliding cleats that can lock in place for tie-downs. That latter feature was first designed by Nissan, and it is one of those good ideas that every competitor tries and fails to beat. Toyota simply copies it. Smart. The test Tacoma had the 5-foot bed, and a longer one is available, and, Jeff says, makes sense if you want to throw a trail bike in the back with your gear. 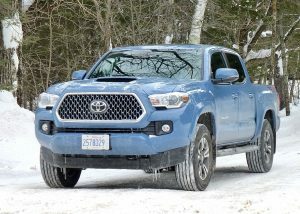 Familiar Toyota grille seems to look best on the mid-size Tacoma. Fuel economy was under 20, but we spent a lot of time warming it up against sub-zero cold every day. The ride smoothness of the Tacoma is obviously attributable to the double-wishbone front suspension with coil springs, and the leaf-spring rear suspension with those sport-tuned shocks. The 4×4 capabilities are extracted via a 2-speed electronically controlled transfer case to engage the on-demand part-time 4-wheel drive. An 8-speed automatic transmission shifts smoothly and gives the Tacoma a sporty feel to its acceleration. All part of the picture, and part of the “preview” test-drive we got from son Jeff’s long drive to visit. Midsize pickups are making their strongest bid for prominence in years, with the General Motors Colorado and Canyon taking on a new challenger in the Ford Ranger, and we can only wait for Jeep and Hyundai to join Honda with less-than-full-size pickups. Meanwhile, the Toyota Tacoma, which is built in San Antonio, Texas, just keeps expanding its models and defending its claim of being the single vehicle with the best retained value — resale, to you and me — in the industry. 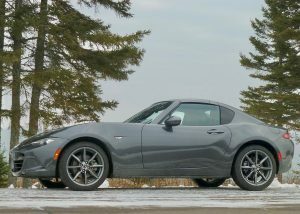 The Mazda MX-5 takes on the look of a GT with its new retractable hardtop in place. We’ve been snowed under — literally and figuratively — with a herd of worthy winter vehicles for our road tests on the North Shore of Lake Superior during this harsh winter of 2018-19, but there also were a couple of outrageously unworthy vehicles that were closer to priceless irony than cars that should be challenging 20 below and foot-deep snowstorms. The pair in question were the Mazda Miata and the Volkswagen Beetle Cabriolet (convertible), both of which are much better suited to summertime warmth, but surprisingly they still made it through separate weeks of commuting in slippery, snow-piled and waybelow-zero conditions. The 2019 Mazda MX-5, better known as the Miata, is a convertible, but for 2019 it also has a new “targa” model with a power hardtop that drops down into the trunk area when you want top-down driving. I believe that, and you’ll excuse me if I passed up my wife, Joan, and her suggestion that I could bundle up in layers of fleece and down and drive past her while she took my picture. No. 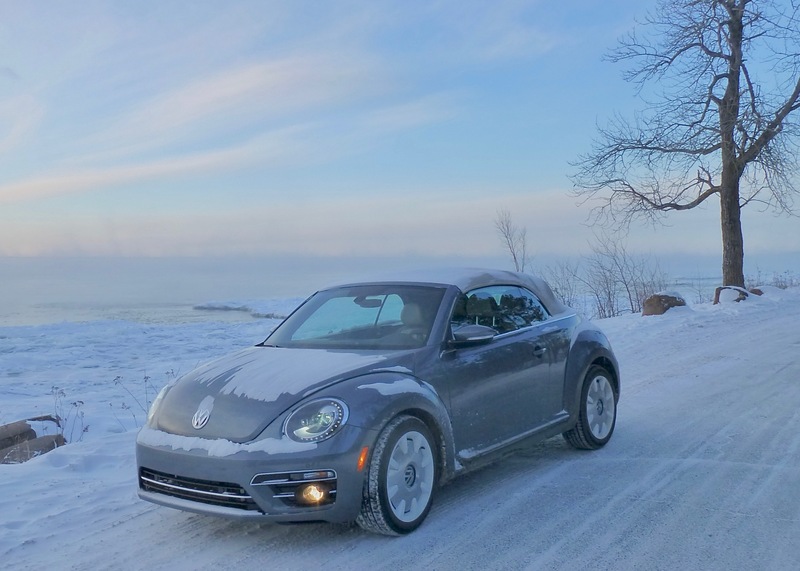 This is the final run of Beetles in Volkswagen’s production plan, and the convertible is winter-worthy. I’m surprised she didn’t agree to do the air-conditioned driving while I shot the photos. The test part is how the hardtop works on the traditional convertible roadster. The other vehicle that closely followed the Miata MX-5 was the 2019 Volkswagen Beetle Convertible. The Beetle is heading for its last roundup, as VW has declared it will stop making the car after the current generation runs out. 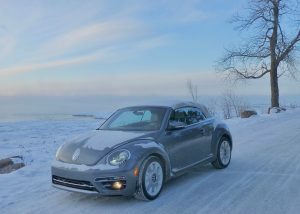 So I got the chance to drive the soft-top Beetle convertible, which is actually more logical as a winter driver than the Miata because at least it has front-wheel drive, being basically a Golf with a Beetle body. Call it Wolf Moon or Blood Moon, the January scene required pulling off for a Hwy. 210 photo. People in Chicago, or Detroit, or Minneapolis, always nod and say they know what you mean when you say it’s cold in Northern Minnesota. But they don’t. They think “cold” means it was uncomfortably cold, maybe zero, or 10 above, which can be uncomfortable, all right. Then there’s Bemidji, Minnesota. Paul Bunyan Land, we’re told, and the gigantic statue of Paul and Babe the Blue Ox, which greets you as you enter Bemidji from the south, is their emblem, standing there rigidly on the shores of Lake Bemidji. They are rigid, because it’s 29 below zero outside on this bright and sunny morning in January. Twenty-nine. And we’re not talking wind-chill here, it was minus-29 actual. Perfect conditions for a test drive of the 2019 Volkswagen Golf SE, a new model to add to the impressive collection of Golf small sedans. We used to be able to say coupes and sedans, but VW decided not to bring even the GTI 2-door to the U.S. this year, so the hot-rod GTI with all its fantastic handling and power comes only as a 4-door. Of course, there are other Golf models, including the Golf R, which is an all-wheel-drive version of the GTI, and there is the SportWagen, an actual sporty station wagon based on the Golf platform. The Jetta, which began life as a 4-door-with-trunk version of the Golf hatchback, is now separate, although with the same new platform and a unique 1.4-liter turbocharged 4-cylinder at the base of its powertrain. As a group, Motor Trend named the redesigned Golf as its Car of the Year for 2018. 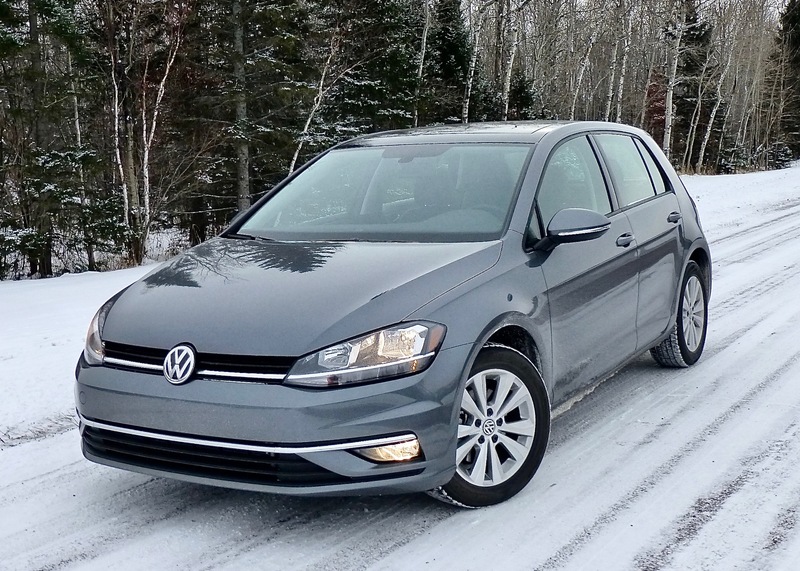 For 2019, Golf adds the Jetta’s highly efficient 1.4 Turbo engine in base SE. 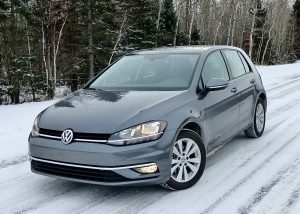 When I heard the vehicle that would be delivered to me in Duluth, Minnesota, would be the new Golf SE, I was more than just interested. After all the big changes for 2018, there were only some minor alterations for 2019, but among them is that VW has taken the 1.4 and put it into two Golf models — the base S and the nicely upgraded SE. Having driven that engine in the Jetta, and being very impressed, it seemed silly that it wasn’t already put into the Golfs, but what did I know? Well, I knew that as amazingly consistent and strong as the 2.0 and its 1.8 derivative have been over the years, that the 1.4 is from an all-new engine family, and is even more efficient than the redoubtable 1.8 and 2.0. My wife, Joan, had been planning on driving across to the western end of Minnesota to visit her sister, who was celebrating her birthday in Fergus Falls, so I came up with the ideal compromise. We could drive up Hwy. 2 from Duluth to Bemidji on Friday, stay overnight, and drive south to Fergus Falls on Saturday afternoon, in time to take everybody out to dinner.